The government plans to put a "digital hub" into every community by the end of this parliament as part of its £830m strategy to give the UK the "best broadband network in Europe by 2015". Culture minister Jeremy Hunt will say at the formal launch of the strategy today that the market in the UK is making "great strides" in delivering superfast broadband. Virgin Media and BT both plan to give nearly 50% of households access to speeds of 50Mbps, he will say. "At the same time, smaller providers such as Rutland Telecom, Vtesse and Geo are finding innovative ways of delivering superfast broadband in areas where the economic climate is more of a challenge," Hunt said. BT said last week that the £830m public funding on offer could help it provide fibre to nearly 90% of UK premises. However, BT's strategy director Liv Garfield said last week BT would not fit fibre from its street cabinets to homes where it has already provided fibre to the cabinet under its present £2.5bn programme. The government also said it does not plan to change the business rates regime as it affects fibre connections (see policy statement below), seen by some as one of the biggest obstacles to investment in networks other than BT's, saying any accommodation on so-called fibre rates could destabilise the entire business rating system. All three of the smaller suppliers Hunt referred to - Rutland Telecom, Vtesse and Geo - have complained that the present rating system is unfair. Vtesse is still waiting for a European appeal court decision about whether UK business rates on fibre amounts to unlawful protection of BT, but had its appeal rejected in UK courts. • Technology neutrality with respect to fixed, wireless and satellite communications. The government plans to spend £50m in a second wave of projects to test how to deliver this plan. 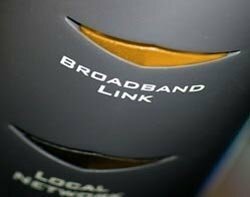 BDUK, the agency responsible for delivering broadband, has already called for proposals for high-speed rural broadband networks in Highlands and Islands, Cumbria, Herefordshire and North Yorkshire. Hunt said, "A superfast network will be the foundation for a new economic dynamism, creating hundreds of thousands of jobs and adding billions to our GDP. Shifting government services online will save billions of pounds of taxpayers' money." He added, "BT's fantastic range of measures could, on top of the government's £830m investment, bring superfast broadband to around 90% of the population. BT has said it will contribute further funding to supplement any of the public money the company may win when we hold tenders for rolling out rural broadband. It is a great example of public funding and initiative stimulating private sector investment." Rural affairs minister Caroline Spelman said, "Rolling out superfast broadband is probably the single most important thing we can do to ensure the sustainability of our rural communities in the 21st century and end the digital divide. The new broadband strategy is a vital part of our commitment to improving the lives of people living in rural communities." "A number of telecoms companies have called for changes to the system of business rates as it applies to telecommunications networks - ranging from calls for "rates holidays" for telecommunications networks to wholesale review of the rating system. "Business rating of telecommunications networks is a complex issue and often misunderstood by the industry and commentators. It has been extensively litigated in the UK and European courts and the rulings of the courts form part of the context for the consideration of the issue. It also has to be considered in the context of the business rating regime as a whole - decisions relating to one form of infrastructure would have implications for the system of rates as applied to other infrastructure. "We have examined these issues carefully, and several facts need to be acknowledged. First, that the decisions of the Valuation Office Agency (VOA) are made independently of ministers. It is not our role to decide who is liable for what under the business rates regime. Second, that the existing rates regime has been tested in court numerous times and no ruling has required any change to the regime. Third, that while in general we favour a low-tax environment for new investment; it is right that non-domestic property should continue to be taxed to provide the essential public services we all rely on. Fourth, that business rates are only one component of the cost of running a network, and considerable savings can be made elsewhere without undermining the delicate balances involved in the rating system. "We are though conscious that a problem can remain in assessing the likely liability for a fibre investment. We are therefore pleased that the VOA has carried out work with the telecoms industry to produce new guidance which was published in August 2010. BIS [Department for Business, Innovation & Skills] will continue to work with VOA, the lead policy department CLG [Department for Communities & Local Government] and the industry on the guidance and to gather valuation evidence with a view to ensuring that there is as much clarity and transparency in the business rating system as possible."